Complimentary valet parking is available upon validation at the host stand. We will feature a Pianist on weekdays accompanied by a Bassist on the weekend. 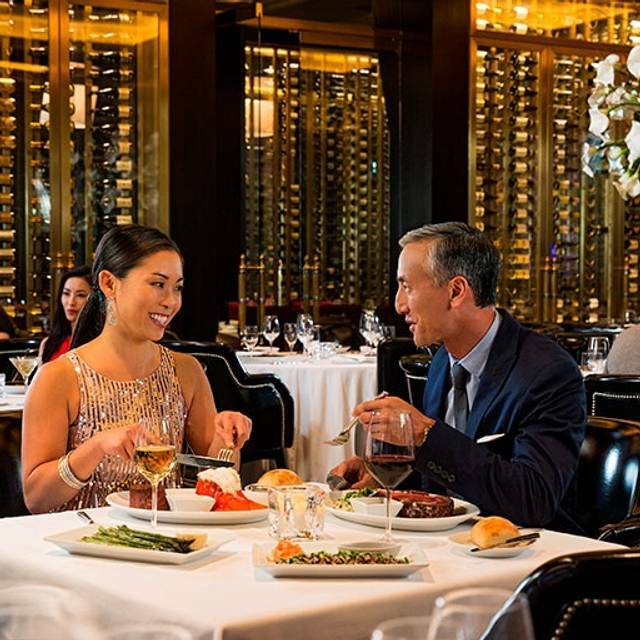 A Baltimore institution since 1965, The Prime Rib is renowned for tender cuts of USDA Prime steaks, the freshest seafood selections, an expansive wine list, and an atmosphere that is as elegant as it is comfortable. 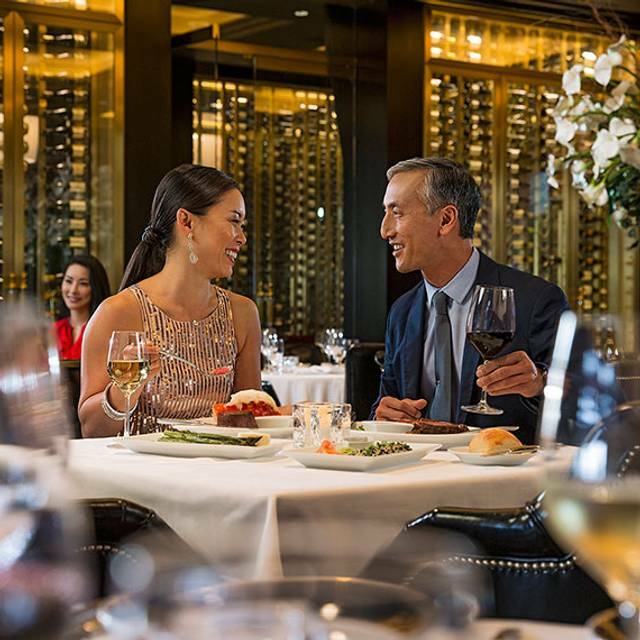 This critically-acclaimed restaurant has been honored with multiple awards such as “Best of Baltimore” by Baltimore Magazine; a Zagat rating as the #1 steakhouse in Baltimore, Philadelphia and DC; designation as one of the Top Five Romantic Restaurants in the U.S. by Food and Wine; and a coveted place on Esquire magazine’s prestigious list of Top Twenty Steakhouses in the United States. The waiter Scott was excellent!! Best steak I've ever had! The food and service was outstanding! We were excited to be having our Anniversary dinner at the Prime Rib before we went to see a concert. It was our anniversary and I had let them know ahead of time about our special occasion. I thought they might do something special for us but all we got was Happy Anniversary mentioned to us. Our food was good and we ordered the signature cut prime rib and lobster tail. The side order of mashed potatoes was extremely salty as was the brussel sprouts. I like salt on my food but this was way to much and actually ruined the taste of them. Our server was pleasant and everyone that was helping her with the food delivery was pleasant too. It just didn't live up to the dining experience expectation that I thought we would have being it was such a special night for us. Wonderful experience from the delicious food to the professional wait staff. We look forward to coming back in the future. Over all dinner was very good. The baked potato was good but could have been larger.The Brussels sprouts also good but not $10.00 worth. The apple pie was very disappointing and not much to it. The steaks were great. I have been here many times and the meat quality has gone way down I could taste antibiotics in the NY strip I had for dinner. 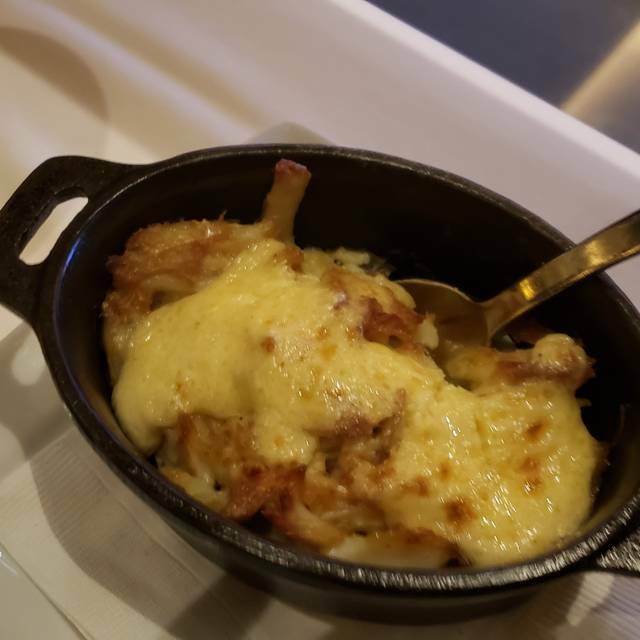 My wife and I are very familiar with The Prime Rib in Baltimore and decided to go to this location as it is closer to our home and would provide some after dinner fun at the Casino. It was my wife's birthday dinner so I expected a similar experience as what we receive from the original Baltimore location. I couldn't have been more disappointed. We arrived to a pleasant hostess wishing my wife a happy birthday. She took us to our table where we were greeted by our server for drinks and menu options. He asked if we were celebrating a special occasion and I mentioned it was my wife's birthday. Finally our first course was ordered, came out timely and was very good. Our server wasn't available to order our second course until our appetizer was cleared and we needed a second round of drinks. It did take some time for our entrees to arrive but met my expectations. After a moment, I realized that our side item wasn't delivered to which our server came over and said, "my fault" and ran back to the kitchen assumedly to rush an order to us. Throughout dinner I couldn't help but notice there was a gentleman wearing a baseball hat worn backwards at a table near us, another patron wearing a camouflaged hooded sweatshirt, a woman walking through the dining area talking on speakerphone through her mobile and another gentleman wearing a tee shirt with profanity written message across the front. After dinner was over, I was more than ready to leave. I asked for our check and our server brought us the book and then said, "Hope you have a happy birthday. Oh, wait, you didn't get your dessert." I just put my head down and said, it's okay, never mind. He went on to mention, "If you're a Yelp reviewer, please don't remember my name.....hahaha." Pricey steak that was just mediocre/forgettable. Good service though. Fantastic meal, one of the best ever. We've been to many high end restaurants and The Prime Rib is right at the top!! We had a very nice dinner here, out to celebrate a birthday. The food was wonderfully prepared and delicious. That said, I would not say any of it was worth the price tag it comes with. We have had great steak at many other places for half the price. Just keep that in mind if you're expecting to be wowed. The majority of the staff we encountered were excellent, very friendly and knowledgeable. Unfortunately, our waitress, Flur or Flower (? ), was not one of them. She acted as if we were an inconvenience to her. Overall, would recommend it for everyone to try at least once, although I don't think we will be going back. The service was geart and the food was really good. 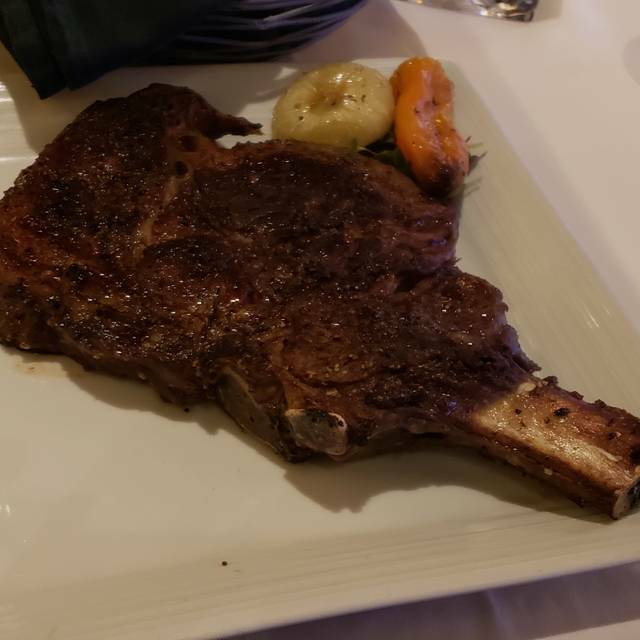 Twice now I've frequented the Prime Rib, my waiters where Nick and Michael who are just simply the best waiters I've come across thus far.....they are both professional and attentive in every way and we truly enjoyed their supportive efforts and service in the most highest manner!!!! Thanks again Michael & Nick and I wish you both nothing but a successful career at Prime Rib and/or any employer where your employment opportunities land you. Again, my sincerest thanks for making my dinner(s) such an memorable experience at Prime Rib!!!! Best steak in years. The house sauce was amazing. Nick best server you can ask for. Excellent evening, only thing I would change would be for them to move the artificial plant so when the waiters have a tray of food held high they are not dragging it through the plant leaves. They don't even know they are doing it. I love Prime Rib, great food and our server Tom was excellent. I was concerned about the wait time though. We waited an hour for our food to come. Tom kept checking on us though. James made sure we got the requested booth on a very busy dinner hour. Excellent service and very responsive to special requests. Our server, Richard, provided us with outstanding service on an especially busy Saturday night. He made our table feel special and was very attentive and professional. Awesome food and awesome service! Wait staff knew their stuff and their wine. This was my first visit and the overall service exceeded my expectations. The staff was very friendly and very professional. The food was most scrumptious. I had the maine lobster bisque soup that was yummy good, followed by lamb chops. My brother also had the soup followed by lobster tails. We shared side orders of potato au gratin and asparagus. Everything was delicious. Thank you for a memorable experience. Ate here for my birthday and had a wonderful experience! Outstanding food quality as always. Top notch service. Great wine selection. Overall great experience. THE ONLY DRAWBACK WAS THAT THERE WAS A PARTY BUFFET IN THE ADJORNING ROOM. PEOPLE WERE CONSTANTLY GOING IN AND OUT IN FRONT OF OUR TABLE. WHEN THE EVENT WAS OVER MOST OF THEIR GUEST HUSTLED IN A LINE IN FRONT OF US STARING AS WE ATE OUR DINNER. SINCE THEY WERE FOREIGN, WE DIDN'T KNOW WHAT THEY WERE SAYING AND MADE COMMENTS ON THEIR WAY OUT. CONTAMINATION OF FOOD FROM THE MASS OF PEOPLE WAS NOT APPRECIATED. SOMEONE ALMOST KNOCKED OVER OUR SIDE DISHES. 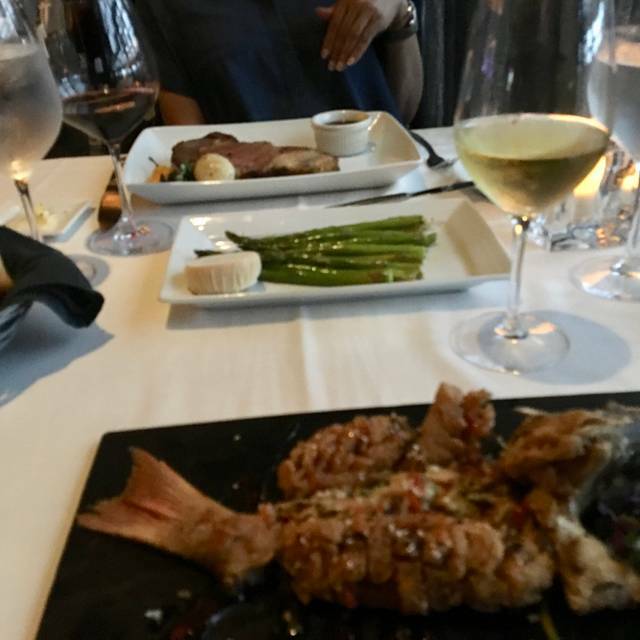 The food and the experience was completely amazing, the ambience was exquisite and the wait staff was extremely courteous and knowledgeable in recommending the many different entree selections. I would definitely return again and recommend this establishment to my family and friends. The scallops were amazing. Our waiter Marty was top notch. Look forward to our next visit. I really enjoyed having dinner at Prime Rib and I would recommend The Prime Rib at Live to my friend. The oysters Chesapeake where outstanding as was the steak and prime rib. Apple pie desert was so so. The food is excellent, the service was inefficient this time. Modern atmosphere at the casino location. Food was good, but they are out of a few desserts that are still on the menu. Staff are helpful and friendly, and service was prompt (though slow with the check). The sides probably for 2 people, no more. I enjoy coming here. High prices because of it's affiliation with the casino. We love this place, the food and the service and staff are awesome all the time! Excellent service food and ambience! Love this restaurant! 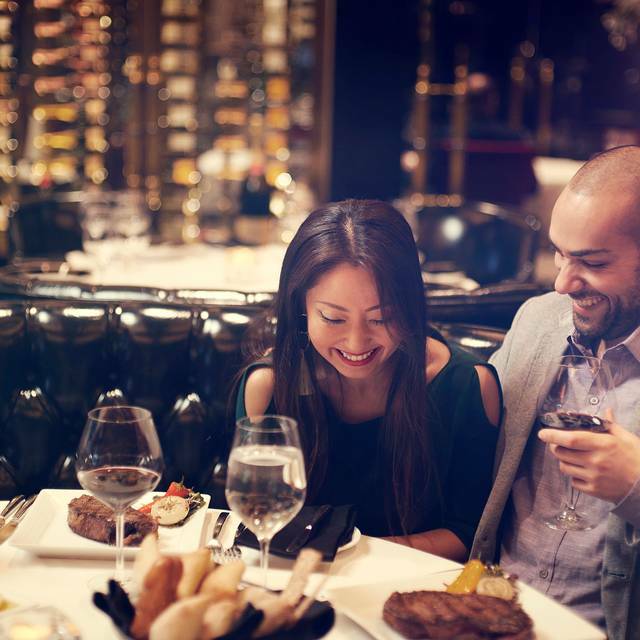 Try the Lobster Bisque, Bone-In Ribeye, and any dessert! Typically, the prime rib is my preferred place to go (read my previous reviews) , but my dinner on Wednesday was terrible. I have had the scampi many times, as it is one of my favorite dishes. This was bad. The shrimp was way overcooked, and the cream broth was almost the texture of a chowder. This dish also hinted strongly of a microwave... not good. I skipped dessert and coffee and got the hell out of there. I don't know if I'll return. What a shame! This was my second time eating at this restaurant. 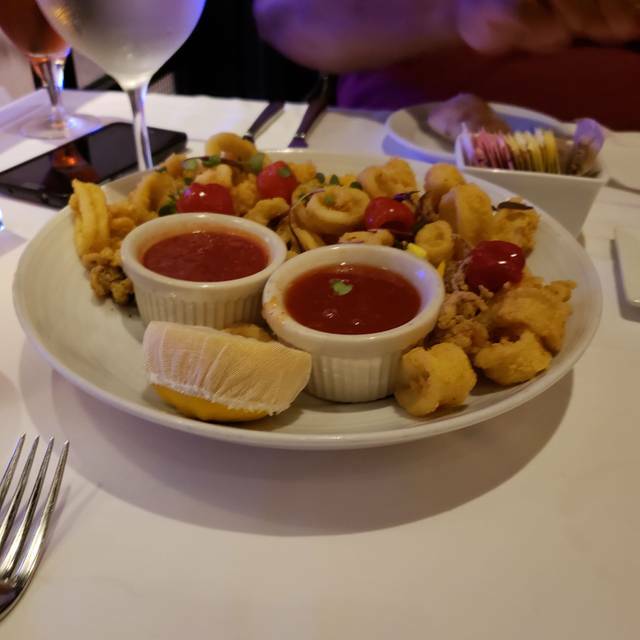 The calamari is the best I’ve ever had and the salads are always fresh. I ordered the crab cake entree but there were too many shells. I appreciated the fact that it was fresh and all lump meat but the shells were awful and would cut my gums. Also, the brussel sprouts were not tender this time. The service was spot on from the beginning to the end. A delicious meal. The best part was our waiter NICK!!!! Outstanding, personable, kind and caring! 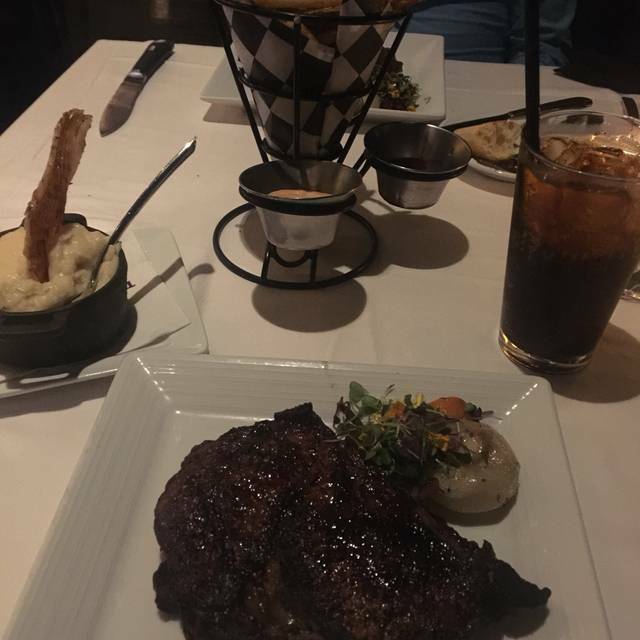 The Prime Rib was excellent and the service was great as well. Definately recommend for a relaxing high quality time. Service was interesting. 2 servers & they sometimes repeated same thing (like told us the specials twice) Wrong entree brought to one of our guests, she said it was ok because I don’t think she wanted us to have to wait on hers & for the server not to worry & ate it (they charged us for the more expensive wrong order & we didn’t say anything-because all so awkward). Prime Rib ok, not oh my goodness tender. Salad ok. Mushrooms good. Brussels sprouts were incredible. Dessert good.